Brrr…the temperature is dropping and people are pulling out their sweaters. And while we can’t change the weather, we can warm ourselves up. Digging into a warm bowl of chili that’ll really stick to your bones is an easy way to quell those chills and bring the heat. 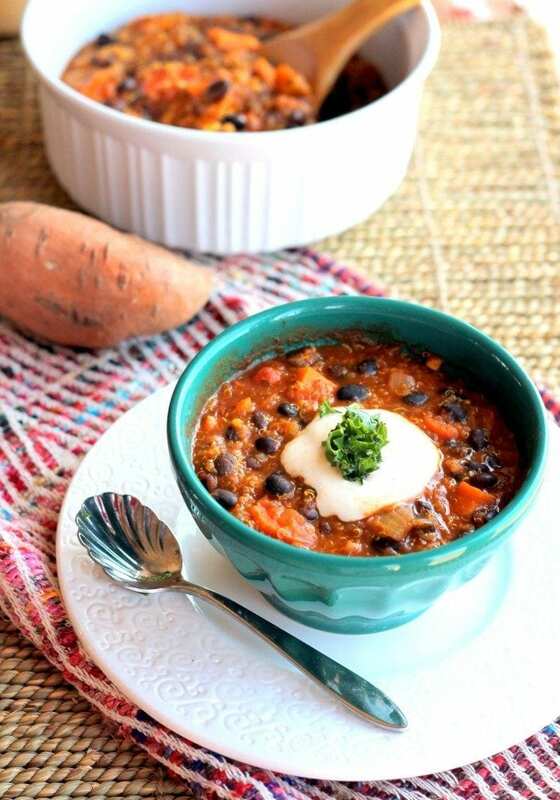 So snuggle up with these nutritious, rich chili recipes—and maybe a blanket—for a crisp fall day. Perfectly festive for fall, this hearty chicken chili by The Toasted Pinenut is nice and toasty, and it uses DuClaw 31 Pumpkin Spiced Lager to give it that extra kick. It’s packed with nutrients and antioxidants, thanks to the squash, peppers, and healthy spices. And it’s easy to whip up and you can let your crock pot do all the work—let it be for three hours and wait for the deliciousness to be ready to eat. Turkey is a lean meat that’s rich in protein and iron to keep you full, and it helps trim some fat as a substitute for beef in a classic chili recipe. 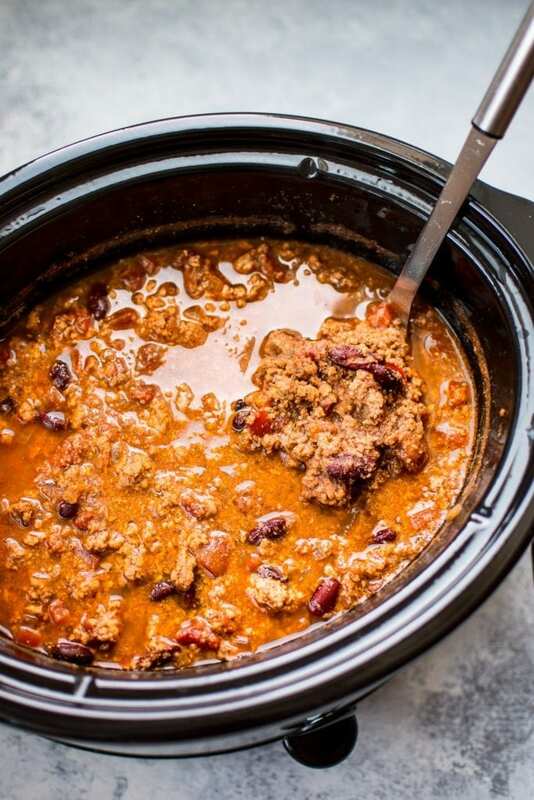 Also made in the slow cooker, this turkey chili recipe by Salt & Lavender will save you energy, as you can prep it in the AM and have it ready when you come home. Vary the spices—using cayenne, paprika, cumin, and garlic powder—to really get that flavor punch. This rich, filling chili from Ambitious Kitchen has sweet, savory, and spicy notes to give that all-around satisfying fall flavor. It takes only 40 minutes to make, and to reduce the salt, you can even use low-sodium vegetable stock and tomato sauce. Add some cooling Greek yogurt on top—it’s a way healthier topper than sour cream and it’ll balance out the heat. Looking to slash carbs? 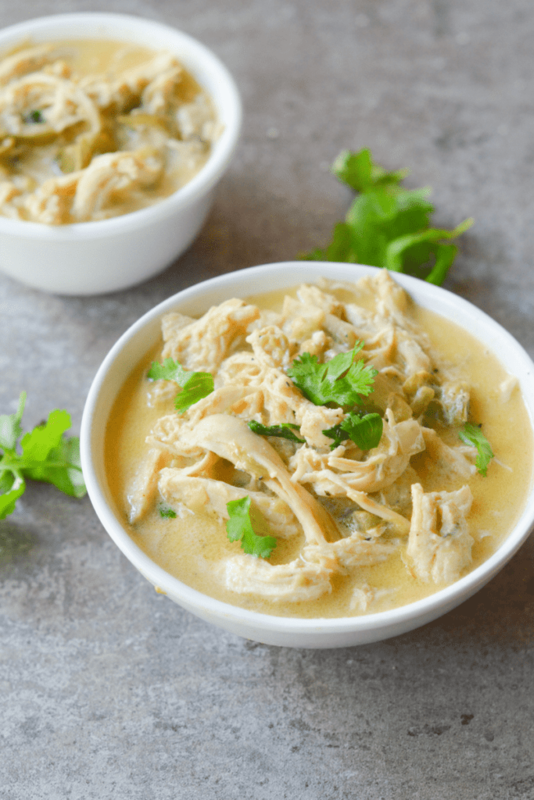 This keto white chicken chili recipe by Hey Keto Mama will really hit the spot and keep you in that fat-burning zone that’s desired when on the keto diet. (Even if you’re not full force keto, this low-carb soup makes for a filling, easy lunch or dinner.) A serving is under 500 calories and offers 39 whopping grams of protein and 30 grams of fat to tide you over until your next meal.